If you ever feel like bashing your head against a wall, try a Harvey Wallbanger instead. You’ll feel better after. Ain’t it a great name for a cocktail? This one is not easy to come by though. A lot of bars I’ve been to don’t stock Galliano. Without it, the drink is just a Screwdriver. This drink presumably originated in 1952. It was a creation by champion mixologist Donato ‘Duke’ Antone, who is also credited with creating the Rusty Nail, White Russian, and Godfather cocktails. What you’ll need: Vodka, Galliano, and orange juice. 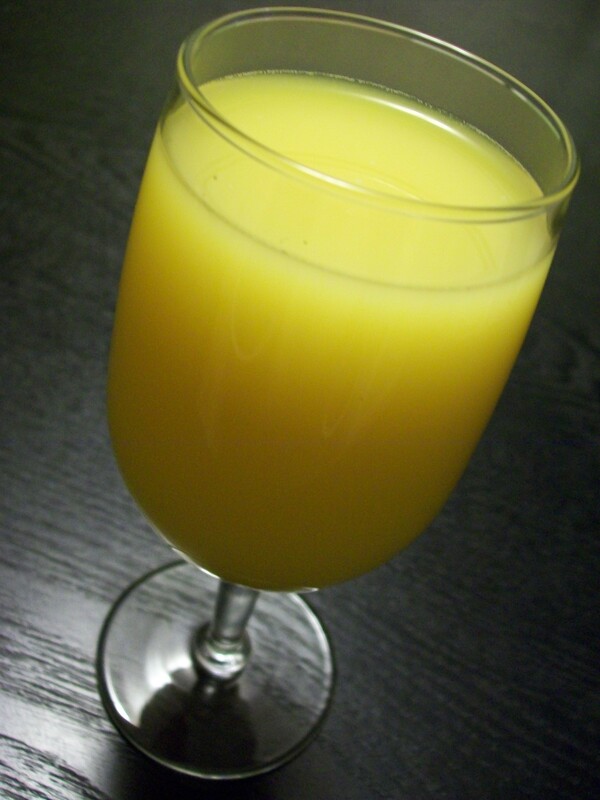 Pour 1 ounce vodka, 1/2 ounce Galliano, and 4 ounces orange juice into a shaker. Shake and then strain into a highball glass over cubed ice. Alternatively, you can hold back the Galliano and float it on top of the vodka/orange juice. Garnish with a slice of orange if you like. How I like it: The proportions above are what I use. I’ve seen some recipes that call for less Galliano, but I use just a few teaspoons more than a 1/2 ounce. As you can see in the photo (yes, the angle is intentional), you don’t have to use a highball glass or serve it over ice. If you don’t pour it over ice, be sure to put ice in the shaker. Most mixed drinks are better served chilled. Do bang your head against a wall if you don’t drink responsibly!